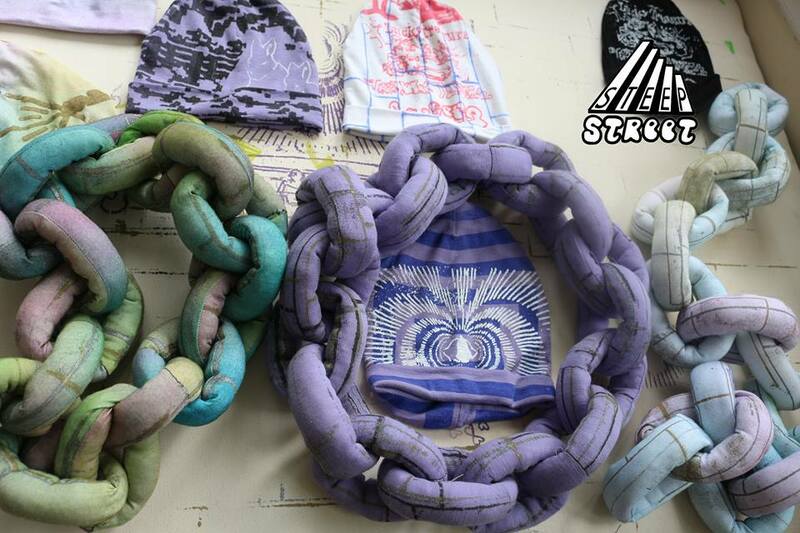 STEEP STReeT clothing and accessories are quality made in Dunedin with hand printed fabrics by artists Artists Iso12 and RGB. Incorporating textile pattern, graphic design and collaborations. Runway street styles and punk aesthetics representing radical and free fashion inspiration. The boda-boda of street style. Fabric chain accessories and beanies are at Guild during March only! MU Winter collection at GUILD this March only. Pictured: 'Jedi' coat, OSFA, double charcoal wool. Introducing our March pop-up Guest; MU, by Dunedin fashion designer Jeong-Hee Newstead. We're thrilled to showcase MU's new winter collection, you'll find these incredible garments in our front window this fashion month. Available at Guild during March only. The incredible detailing in Melanie Child's collection stops passers-by later in the month. This is her collection that she was selected to show on the catwalk at the iD Dunedin Fashion Show 2016. Website designed & sponsored by Clarkson Design. GUILD thanks Dunedin City Council for its funding support.